As you gaze into this painting, breath deeply, and take a moment to tune in to the Christ Light that dwells within yourself. Become aware that the Sacred Heart of Jesus beats within you. Consciously draw upon the deep well of Unconditional Love that bubbles up from within and which will become stronger with each breath. Remember this feeling whenever you come upon any negativity in your life, and activate the feelings of peace and compassion within yourself. Lovingly send this Love to all who challenge you. This is the Sacred Heart of Jesus in action. The Ascended Masters very close to us right now. They are focusing their energy on the Earth right now to help us all to awaken to our own truth, to help us to rise up in vibration and transcend all negativity. Lady Venus is with us today, she is showering us all with pure undiluted Unconditional Love! She is helping us to realize the oneness of all Creation, and to unlock the power and glory that is within us all. I am Clarity, I will help you to look into Infinity and find your own Truth. You transcend matter, you are Spirit! Focus on the highest and it will come to you. You are much more than you know. I bring you Infinite Love and Blessings from on High. 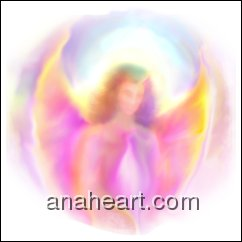 Angel Message for Today- Play! White Buffalo Woman comes to us in times of great change to help us to accept change and to develop wisdom, balance and harmony in our day to day lives. She helps us to raise up in vibration and strengthens our awareness of, and connection to Nature, and the Oneness of Creation. Affordable signed Fine Art Prints from the digital original of this painting are available here. 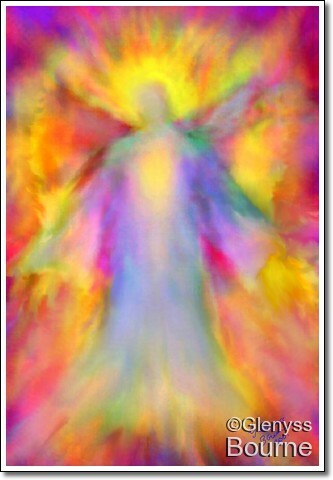 Click Here for another Inspirational Message from the Angels.